Being a specialized tool for sports and wildlife photography, the recently announced Canon 7D Mark II is a popular choice among many Canon shooters, thanks to its impressive 10 fps continuous shooting speed, a sizable buffer, high-end 65-point AF system and a solid weather-proof build. Along with these pro-level features, the 7D Mark II comes with numerous buttons and a sophisticated menu system that can be pretty overwhelming for even intermediate-level photographers. To help guide our readers through these features and menus, we decided to share the settings our team has been using on the camera during the past 3 months while testing the camera. Please keep in mind that the below information is provided as a guide for those that struggle with the camera. While this particular configuration has been working great for our needs (mostly based on wildlife and landscape photography), it does not mean that it is the only way to properly setup and configure the camera. Before going into the camera menu, let’s first get started on the exterior controls. The Canon 7D Mark II has a lot of menu options, but there are some things that you can only control with the external controls. In addition, even if menu settings provide options to change particular settings, using external buttons / controls is simply faster. The first dual function button is used for setting up either White Balance or Metering Mode. Press this button once and you can use the rotary dial on the back of the camera to toggle between different white balance presets, such as AWB (Auto White Balance), Daylight, Shade, Cloudy, Tungsten Light, White Fluorescent Light, Flash, Custom and Color Temp in Kelvin. I won’t go over these in detail, as you can read about these in my What is White Balance? article. You can also change white balance using the camera menu, as shown below. The second function of the button lets you switch between different metering modes by rotating the dial on top of the camera. The metering modes you will see are: Evaluative, Partial, Center-Weighted Average and Spot. Once again, I won’t go over each mode in detail, as you can read my Camera Metering Modes article, where each metering mode is covered in detail. If you do not know where to start, keep your metering mode in the default “Evaluative” mode, which is the one that looks like an eye. Metering can only be set through this button and there is no place to change it in the camera menu. Single Shooting – pressing the shutter release button will only fire one shot. If you continue to hold, nothing will happen. High-Speed Continuous Shooting – pressing and holding the shutter release button will continuously fire the camera at a speed of 10 frames per second. Low-Speed Continuous Shooting – pressing and holding the shutter release button will continuously fire the camera at a lower speed of approximately 3 frames per second. Silent Single Shooting – similar to the first setting, but the mirror is raised slower for less noise. Silent Continuous Shooting – similar to the second setting, but the mirror is raised slower for less noise when firing continuously. 10 second Self-Timer / Remote Control – after you press the shutter release button or engage a remote trigger, the camera waits for 10 seconds before taking a picture. 2 second Self-Timer / Remote Control – similar as above, except the wait time is reduced to 2 seconds. Since this is a high-speed camera for fast action, I set mine to High-Speed Continuous Shooting when photographing wildlife. When shooting everything else, I set the camera to Silent Single Shooting drive mode. One Shot – is used only for stationary subjects that do not move. When you half-press the shutter button, autofocus locks on the subject and if the subject moves, the focus will not change, resulting in a blurry picture. Only use this mode for photographing stationary subjects (landscapes, architecture, etc). AI Focus – this mode is a combination of both One Shot and AI Servo (below) modes in one setting. The camera evaluates the subject/scene and automatically switches between the above two modes depending on what you are photographing. AI Servo – this setting is used for photographing moving subjects. When you half-press the shutter button and your subject moves, the camera will re-acquire focus. I usually keep my camera in AI Servo autofocus mode when photographing people, especially my kids running around. Again, since I used this camera mostly for action photography, I kept my setting at AI Servo. When switching to shooting everything else, I moved it to AI Focus mode. The above is a quick summary, but if you are looking for detailed information on autofocus modes, see my DSLR autofocus modes article. The next button is used to dial Flash Exposure Compensation and change ISO. If you shoot flash, rotating the rear dial will allow you to either increase or decrease flash power. Changing ISO is accomplished with the top dial and you can toggle between Auto ISO to regular ISO levels like 100, 200, 400, etc. all the way to ISO 16,000. Personally, I am a fan of the Auto ISO setting, as it automatically selects the right ISO for me depending on the brightness of the scene. If you are a beginner, I recommend using the Auto ISO setting, the behavior of which can be fine-tuned in the camera menu (as explained in detail further down below). The last button is used to light up the top LCD of the camera, which can be useful when photographing in dark. There is an extra button called “M-Fn” on the top of the camera right next to the top dial. By default, this one is set to “FEL” (Flash Exposure Lock), which I personally find to be rather useless on the 7D Mark II. I went ahead and changed mine to “AE lock (hold)” for situations when I need to lock and hold my exposure. This can be achieved by going to Menu -> Camera Menu 5 (Camera Icon with dots) -> Custom Controls -> M-Fn -> AE lock (hold). The Custom Controls are explained further down below. On the top left side of the camera you will find a camera shooting mode dial (often referred to as the “PASM” dial). I have my dial set to “Av” (Aperture Priority Mode) 90% of the time, because the camera does a great job in giving me good exposures. Once you get to know the camera better, I would recommend to explore the “C1” – “C3” settings (more on this below under Setup Menu), because they could save you time when switching between different shooting environments (say when switching between photographing sports / wildlife and landscapes). Some situations, such as when photographing panoramas or using off-camera flash call for using the Manual (M) mode, but I would only recommend to use this mode when you get comfortable with the exposure triangle. I personally favor Manual mode when photographing birds to keep my shutter speed the same, while letting the camera control ISO via Auto ISO. 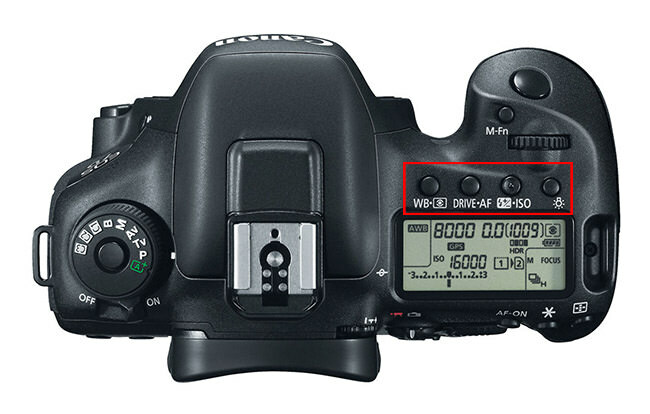 The Canon 7D Mark II has a number of buttons on the back of the camera that also serve particular needs. To the top right of the camera, you can find three buttons: AF-ON, AE Lock (Asterisk) and AF Area Mode. The AF-ON button can be used in conjunction with the Custom Functions (see below) for “back-button AF” that you can use for the focusing and recomposing. The AE Lock button is used to lock the exposure, which can be useful for keeping the exposure consistent between shots or when using the above-mentioned focus and recompose technique. The last AF Area Mode button is used for selecting a particular focus point. When you press this button once, the top LCD will display “SEL [ ]”, which allows switching between different focus points in the viewfinder, or switching to dynamic focusing / automatic selection (with all focus points activated). If you look through the viewfinder and rotate the rear dial, you will see the focus points go vertically from top to bottom and vice versa. If you rotate the top dial, the focus points will switch horizontally from left to right and vice versa. Personally, I do not like the fact that I have to press a button to activate focus points, so I always use the multi-controller instead, as explained in detail below. There is one more button on the back of the camera that can be quite handy for making quick adjustments to the camera and that’s the “Q” button that is located to the right of the magnifying glass and playback buttons. I love this button, because it serves as a shortcut to get to the most important settings without having to dig through the many menu items. It gives you access to the exposure triangle, exposure and flash exposure compensation, custom controls, picture styles, white balance + white balance shift, auto lighting optimizer, AF operation, metering mode, drive mode and image size / quality settings. So this button is a great shortcut to seeing a summary of all settings on the camera that are currently applied. From here, you can override the top buttons easily by simply using the multi-controller on the back of the camera. Let’s go through the camera Menu settings now. Image Quality: RAW – I always recommend to shoot in RAW format. As explained in my RAW versus JPEG article, there is a huge difference between RAW and JPEG. With RAW, you also do not have to worry about other camera settings such as picture styles, white balance and lighting optimizer, because you can modify those in post-processing. Image review: 2 sec – I leave this at 2 seconds. After you take an image, it will be shown on the rear LCD for 2 seconds. If you want to preserve the battery life, you can turn this off as well. Beep: Disable – leave this disabled, since the camera will beep every time focus is achieved, which is annoying. Release shutter without card: OFF – you do not want the camera to fire without a memory card, in case you forget to insert one. Lens aberration correction: I disable all corrections, because they only apply to JPEG images. If you are a JPEG shooter, leaving these on will reduce vignetting, chromatic aberration and distortion issues in your images. ISO speed: Auto – as explained earlier, I like to use the Auto ISO feature, since I do not have to worry about the exposure. ISO speed range: 100-16000 – this setting affects what you are able to see when changing ISO through the ISO button or through the Quick menu. I want to keep the entire range for ISO selection, so I leave it at 100-16000 range. Auto ISO range: 100-3200 – now this setting is particularly useful when shooting in “Auto ISO” mode. I am not comfortable with noise above ISO 3200 on the 7D Mark II, so I keep the maximum range limited to ISO 3200. In some situations, I might push my maximum limit to 6400. Min. shutter spd. : Auto – with the “Auto” setting, the camera will automatically adjust the shutter speed of the camera to the reciprocal rule appropriate for its APS-C sensor. For steady hands and good posture, this might be sufficient. However, if you have shaky hands, then the default “Auto” setting might not do justice to keep you away from camera shake. If you notice blur in your images, you can move the slider under “Auto” to the right towards “Faster” with the top dial, which will double the shutter speed value. For example, if at 35mm focal length you are getting 1/50 shutter speed, moving to Auto(1) will double the shutter speed to 1/100. This particular feature was something that Canon was missing when compared to Nikon, so I am really glad that Canon included it in the 7D Mark II. Now Canon’s Auto ISO fully matches Nikon’s Auto ISO capabilities! Auto Lighting Optimizer: OFF – ALO settings are only applicable to JPEG images and I usually keep them turned off. White balance: AWB – Just like ALO, white balance setting also does not matter, as you can adjust it later in post-processing. Custom White Balance – unless you want to set custom white balance with a gray card, skip this setting. WB Shift/Bkt. : 0,0/±0 – don’t mess with this unless you know what you are doing. Color space: Adobe RGB – although color space does not matter for RAW images, Adobe RGB gives a slightly more accurate histogram to determine the correct exposure (since the camera shows histogram based on camera-rendered JPEG image, even if you shoot exclusively in RAW). Long exp. noise reduction: OFF – I leave this off, but you might want to turn it on if you are planning to shoot very long exposures such as when doing astrophotography. High ISO speed NR: OFF – another one I leave off, as it only affects JPEG images. Highlight tone priority: OFF – unlike Auto Lighting Optimizer (ALO), Highlight tone priority does affect RAW data, since it actually underexposes an image to recover highlights. Unless you shoot JPEG, instead of letting the camera underexpose images with HTP to keep highlight details, I would recommend to properly expose images and even slightly over-expose, then recover the data in post. This technique is known as “Exposing to the right” and it gives you better results, especially when dealing with noise. Dust Delete Data – this is used for removing dust in images if you have dust particles on the image sensor. I never use this feature, since I prefer cleaning the camera sensor instead. Multiple exposure: Disable – this is used for creative photography when stacking photos on top of each other. HDR Mode: Disable HDR – only relevant when shooting in JPEG mode. Red-eye reduc. : Disable – only relevant when shooting flash. Interval timer: Disable – built-in intervalometer for shooting timelapse sequences. Sadly, you can only specify up to 99 shots, but if you leave it at 00, the camera will take photographs indefinitely. Bulb timer: Disable – disabled in all normal modes, so you can only activate it when you select “B” from the PASM dial. Now this is a killer feature and something that I wish every camera had. Many DSLRs are normally limited to 30 second exposures – anything longer requires a remote camera shutter release accessory that has the capability to hold exposure for longer than 30 seconds. The Canon 7D Mark II has a built-in mode to set a specific timer in bulb mode, so you do not need any remote shutter release to be able to shoot for longer than 30 seconds. This is particularly useful when doing long exposure photography and when working with neutral density filters. Anti-flicker shoot. : Disable – if you shoot in artificial light covering sports or other events, this is another killer feature that can really help in obtaining images that are properly exposed top to bottom. As described in our light flickering article, shooting indoors can be quite challenging. Once you turn this feature on, the camera will automatically delay the shutter to match the light frequency, as detailed in this article. Mirror lockup: OFF – unless you want to reduce vibrations from the camera when the mirror is raised (when shooting at very low shutter speeds on a tripod), leave this turned off. When mirror lockup is on, pressing the shutter release or firing the camera with a remote will raise the mirror and the second time you trigger the shutter will start the exposure, then lower the mirror at the end of the exposure. Live View settings do not affect images, so I usually leave them at default settings. If you have the Live View switch on the back of the camera to “Movie” mode (red camera), instead of the above Live View menus you will see two movie menus instead of Live View. I don’t shoot video, so these are also set to default settings. The Canon 7D Mark II sports a high-end, complex autofocus system that can be fine-tuned for practically any situation. Since the goal of this article is to provide recommended settings and not particularly focus on what each camera feature does, I am not going to spend a lot of time explaining why I chose a particular setting. The below autofocus settings are provided as a guidance to what worked well for me when photographing birds, so your mileage might vary. My recommendation would be to read Chapter 3 in the camera manual to understand what each autofocus setting does in detail. Case 1: For subjects that change speed and move erratically – I found this one to be the optimal default setting for bird photography. Case 2: Continue to track subjects, ignoring possible obstacles – if you need to actively track a bird in flight while ignoring trees and other objects in the scene. Case 3: Instantly focus on subjects suddenly entering AF points – if there are many birds in the frame and you want to focus on the closest one. Case 4: For subjects that accelerate or decelerate quickly – when camera to subject distance changes fast, such as a bird flying towards you. Case 5: For erratic subjects moving quickly in any direction – if a bird is perched and you are anticipating it to fly off. Although these cases can be very useful in different situations, it is probably best to stick to Case 1 as the default setting. The nice thing about the above cases, is that you can actually fine tune each one of them to suit your needs by modifying the three setting parameters. AI Servo 1st image priority: Focus Priority – I set mine to focus priority for the 1st image, because I do not want the camera to start shooting if the subject is not in focus. This might be annoying to use in certain situations though, particularly when the subject is very erratic and the camera struggles with autofocus acquisition. By default, it is set to “Equal Priority”. AI Servo 2nd image priority: Equal Priority – once focus is locked and the camera is already shooting and actively tracking the subject, I want to give equal priority to focusing and releasing. Lens drive when AF impossible: Continue focus search – if focus cannot be achieved, the camera can continue searching or stop. I prefer to let the camera continue to search. Selectable AF point: 65 points – you want to be able to switch between all 65 focus points. Select AF area selec. mode: everything checked – I want to be able to toggle between all AF area modes. AF area selection method: M-Fn button – the M-Fn button that I previously programmed to AE Lock can be used in combination with the focus AF Area Mode button to toggle between different AF area modes. Orientation linked AF point: Separate AF pts: Pt only – I love this feature, as it will remember what focus point I set when shooting vertical vs horizontal images. I set mine to only remember the focus point. Initial AFpt, AI Servo AF: AUTO – leave this one on AUTO. Auto AF pt sel. : EOS iTR AF: ON – leave this one ON. Manual AF pt. selec. pattern: Stops at AF area edges – I do not like when AF points automatically move over to the other side when I am close to the edge. AF point display during focus: All (constant) – I prefer seeing all focus points, not just the selected one in the viewfinder. VF display illumination: AUTO – let the camera decide when to illuminate the focus points in red inside the viewfinder. AF status in viewfinder: Show in field of view – shows “AF” in the field of view when autofocus is active. AF Microadjustment: Disable – unless you want to specifically adjust phase detection autofocus, do not touch this setting. If you want to make AF adjustments, read my detailed article on calibrating lenses. Playback menus are used for altering images after they are captured. I normally do not mess with these and leave the settings in Menu 1 and 2 at default. The only setting I do change is in Playback Menu 2 – Image jump with rotary dial. I personally do not like the fact that the images jump by 10 by default when rotating the top dial, so I set it to “Display images one by one” instead. This way, whether I turn the top or the rear dials, both will display images one by one without skipping. Highlight alert: Enable – this will show the “blinkies” when there is overexposure / loss of highlight data. AF point disp. Enable – when displaying images, I want to see where the focus point was. Playback grid: Off – it is nice to see a grid in the viewfinder, but I don’t want to see it after the image is captured. Histogram disp: Brightness – if you want to see a histogram for each color channel, pick RGB. Movie play count: Rec time. Magnificatn (apx): Actual size – this allows me to see 100% crop when I press the magnification button when playing back images. Record func. : Auto switch card – once the first card fills up, it will overflow to the second one. Record/play: 1 – you can select which card to start recording images first. Folder: 100EOS7D – you can use an existing folder or create a new one where photos will be stored. File numbering: Continuous – I want the camera to increment file numbers even if I change the memory card. File name: IMG_ – you can set how you want files to be named. Auto rotate: On (middle setting) – rotating vertical images in landscape view makes them appear much smaller. I prefer the camera to write the orientation to images, but not actually rotate them when displaying. Format card – used for formatting the inserted memory card. Auto power off: 1 min – I leave it at 1 minute to turn off the camera when it is not in use. LCD brightness: Auto – middle selection is good, although you might want to increase or decrease brightness depending on shooting conditions. Date/Time/Zone: make sure to keep the date and time zone settings accurate. Viewfinder level: Show – cool feature, allows seeing level right inside the viewfinder. VF grid display: Enable – I use the grid for framing and alignment. Show/hide in viewfinder: Everything turned off – the viewfinder is already pretty cluttered with information, so I usually do not want to add more. GPS/digital compass settings: Disable – I enable GPS when traveling and turn it off if I need to preserve battery life. It is a neat feature that I wish all other cameras had! Battery info. : Shows battery level and life. Auto cleaning: Enable – the camera will shake off dust when turned on or off. Clean now – to clean the sensor now. Clean manually – this is different than the above options, since it is used for manually cleaning the sensor. The mirror will lock up and you can proceed to cleaning the sensor. INFO button display options: All checked – good for looking at important camera settings and the level works pretty well for shooting on a tripod. RATE tn function: Rating – controls the RATE button function. Can be set to Rating or Protect. Custom shooting mode (C1-C3) – there are three setting banks on the shooting mode dial. Once you set appropriate settings for a given scenario, you can save them in these two modes. Register settings – this will allow to save your current settings to C1, C2 or C3 shooting mode. Once saved, all you have to do is switch to the appropriate mode and the settings will be retrieved. I had mine set to three different scenarios – one for sports/wildlife, one for landscapes and one for people. For C1 (sports/wildlife), I have Auto ISO turned on, Exposure mode set to Manual, Drive set to Continuous High, AF mode set to AI Servo, AF point selection set to Surround (8 points around the center). For C2 (landscapes), I have Auto ISO turned off, ISO 100, Exposure mode set to Manual (M), Drive set to Silent Single Shooting, AF mode set to One Shot, AF point selection set to Spot AF. For C3 (people), I keep Auto ISO on, Exposure mode set to Aperture Priority (Av), Drive set to Silent Single Shooting, AF mode set to AI Focus, AF point selection set to Spot AF. Clear settings – used to clear the above-mentioned modes and revert to defaults. Auto update set. : Disable – I do not want the camera to automatically save adjustments in C1-C3 modes. This way, if I change a setting, it is only a temporary change. If I need to make a permanent change, I go to “Register settings” menu above. Clear all camera settings – this will reset everything on the camera and revert to factory defaults. Copyright information – I always put my name and copyright details when I first setup the camera. Certification Logo Display – displays certification logos. Camera firmware ver. – displays current camera firmware. Custom Functions menu is used to fine tune the many parameters of the camera. Some of them are very important and should not be messed with, while others make it easier to use the camera. Let’s go through each one of them, one by one. Exposure level increments: 1/3 stop – this will allow adjusting the exposure in 1/3 or 1/2 increments. I prefer 1/3 increments. ISO speed setting increments: 1/3 stop – same here for ISO. Bracketing auto cancel: On – if you turn bracketing on, the setting will not be permanent – it will turn itself off when you turn off the camera. Bracketing sequence: -, 0, + – I prefer bracketing in this order. Number of bracketed shots: 3 shots – depends on how you bracket. I usually go between 3 and 5 shots. Safety shift: OFF – used when the camera maxes out in Aperture Priority (Av) or Shutter Priority (Tv) modes. For example, if the exposure is too bright and the camera is also maxed out at 1/4000 shutter speed, with this setting turned on the camera will stop down the aperture to balance out the exposure. Same expo. for new aperture: OFF. Focusing Screen: Eh-A – default, only applicable if you are using an optional focusing screen. Warnings ! in viewfinder: When monochrome set, When WB is corrected, When one-touch img qual set, When NR is set – shows an exclamation mark in the viewfinder if these conditions are met. Dial direction during Tv/Av: Normal – I leave this at normal, but if you want to flip the direction of dials, you can set it to “Reverse direction”. Multi function lock: Quick Control Dial – this controls what gets locked when the Lock switch on the back of the camera is used. I leave this on the default Quick Control dial. Shutter Release: AE Lock – if you want to switch to back-button focusing / focus and recompose technique, then change this to either “Metering start” or “AE lock”. I keep mine at AE lock to only lock the exposure when I half-press the shutter release. To focus, use the AF-ON button on the back of the camera. AF-ON button: Metering and AF start – I want to use the rear AF-ON button to focus, so I keep it at this setting. AE Lock button: AE lock – you can change the behavior of the AE Lock (Asterisk) button as well. Some people prefer to have the AE lock button serve as the AF-ON button. You can do that by changing the mode to “Metering and AF start”. DOF preview button: Depth-of-field preview – I don’t particularly use this button, so I leave it at its default setting. Lens AF stop button: AF stop – controls the behavior of the lens AF stop button. Multi-function button (M-Fn): AE lock (hold). As explained eariler, I use the M-Fn button to hold exposure. Set button: OFF – I only want to use the center “Set” button to make changes and access menu items, so I leave it off. Some people like to change it to “MENU” for accessing the menu, but I don’t mind pressing the Menu button to the left of the viewfinder. Main Dial: Aperture setting in M mode – you can control the behavior of the main dial on the top of the camera in Manual mode to either change the Shutter speed (default) or Aperture. I prefer the top dial to change aperture and the rear dial to change the shutter speed. It is a personal preference though! Quick Control Dial: Shutter Speed setting in M mode – with the above change, you need to set this one to control the shutter speed. Multi-controller: AF point direct selection – another very important setting for me. If you keep the default setting (OFF), you will not be able to make quick adjustments to focus points by using the multi-controller on the back. With AF point direct selection enabled, you simply press any side of the multi-controller and the focus point will immediately move there. Very useful, something that should have been the default! AF area select lever: Direct AF area selection – with the multi-controller allowing to select focus points, it makes perfect sense to use the AF area lever to toggle between different AF areas. With this enabled, I can quickly choose between different AF areas by pushing the lever down. I hope you found this article useful. Once again, these are settings that work for me and they might not necessarily suit your needs. It is best that you explore your camera and learn about each setting as much as you can in order to take advantage of all the available features and customizations! Thanks for your detailed post. I’m glad to see that, with the 7DII, Canon came back with the three custom set (C1-C3) buttons. My (8+ yr old) 40D has them and I use them heavily. I guess this means that the 40D was/is still a heck of a camera. The 7DII does look like a nice upgrade though. I’m just curious about your using the Manual shooting mode for birds (for setting the shutter speed). Could one achieve the same by using the Tv (shutter priority) mode, still using Auto ISO? Thanks, good point about the dof. Now, as a last question if I may, and still with birds/wildlife in mind, can I have your take on the old full frame (eg. 5DIII) vs. crop frame (7DII in this case) issue? If you had a 500mm/f4, i.e., a very good, long lens whose resolution wouldn’t be a factor, would you rather have the 7DII or the 5DIII? Maybe I should wait until you get your hands on the 5DIII… but I was just wondering which would be best in terms of overall image quality, the cropped, smaller FOV one or the larger, lower noise pixel one which you could crop in post? Of course one has to look at each individual package, like each camera’s fps value, and so forth. Otherwise these two cameras would appear to be very similar operability-wise, as well as have similar AF capabilities (though with differing minimal lens apertures). And if price was no objection of course. The crop factor of the APS-C of 1.6 gives you more reach with your telephoto. 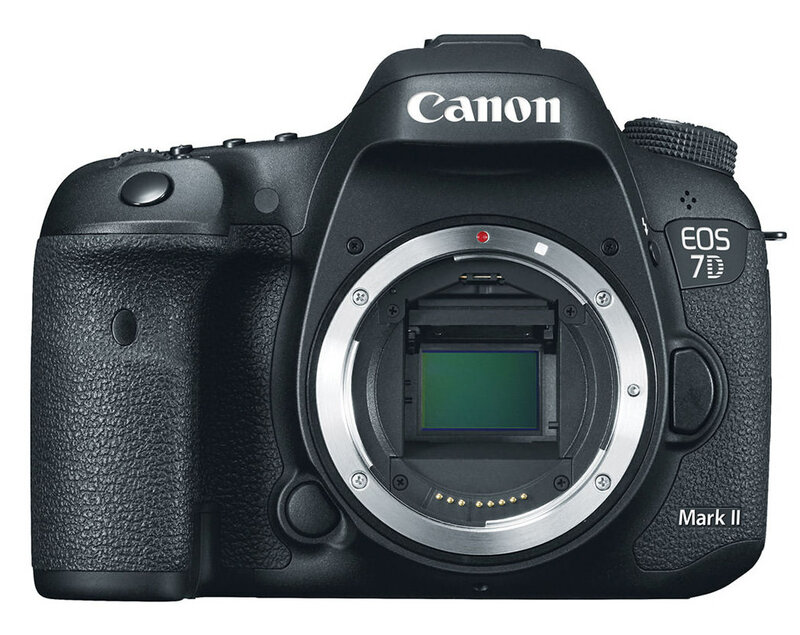 Not to mention the 7D mark II has a killer auto-focus system. You are most welcome Bhanu! Hi, Nasim. Thank you for your, as always, good work. Have you published a similar guide for the D750. If you have, I can;t seem to find it. Thank you very much, Nasim. I hope you keep up the great work. Pls.i have a very big problem. I was using my new 7d mark 2 and the power went off. I want to know if u can advice me on what to do. I bought the camera in December 2014 and used it for only 3 months. This is my email address [email protected]. Good evening. Hope u r fine. full-frame body. Has his attention focused on D810. Currently he uses D7100 and Nikon 500mm f/4 prime super telephoto and Nikon 80-400mm f/4.5-5.6 zoom lenses. He’s a doctor by profession and lacks sufficient time to do in-depth research into equipment. So, he requested me to do it for him. Being a Canon user, I’m unable to offer him correct advices. May I hereby, request you to kindly apprise me on this? I really appreciate your article, it is really help me to understand the different settings of my new 7DII. I will use my 7DII with Tamron 150-600 exclusively for bird photography. You are most welcome Saad! Any chance of doing one for the Canon 5D Mark III? Awesome. Love your work mate. Can’t wait of your 5D Mark III article now. Can you do one for the Canon 5D Mark iii? You’re articles make the most sense and are so easy to read. I used it for the 6D :) Thank you! Hi Nasim, thank you for all the great recommended settings. I’m having trouble following your custom shooting mode setting (C1-C3), how do you set the exposure mode to Manual and Av in these? Nice Article – HOWEVER!!!! – in your Setup Step 1 setting “File name: IMG_ – you can set how you want files to be named” I have tried and others I know (and Canon CPS couldn’t explain it!!) does not work! I wanted to name my files with “7DII_” but that was too long, So tried “7D2_” and it took that. HOWEVER – take photos and then download the images on to the PC and guess what?! The file names all start with “_D2_” . It places an “_” in front of whatever you choose for a file name and strips off the second character, in my case the “7”!!! Any suggestions? Please try what you suggest by downloading the pic file you took with the setting and see what I’m talking about. Others have told me they have the same issue. I have to go and use a utility for renaming my files with the 7DII I want and then proceed. AWFUL Canon design. If you can’t change the filename, why the setting????? Thanks in advance for any help. seems to be a bug. try changing color space to sRGB. Hi. You and I may call it a “bug” but after really pushing thru to the top at CPS (I’m a platinum member and pushed as hard as I could with Canon) found that they are quite well aware of what the camera will do (this at least not only the 7D Mark II, but my 1D Mark IV as well, and who knows whatever bodies) and seem to not think it’s anything they should care about. I asked, why does Adobe RGB vs sRGB settings have ANYTHING to do with the filenaming convention on the images written to the card?!!! They couldn’t respond with any answer other than yeah, that’s the way it is!!!!! Unbelievable. If I was really wealthy, just for such an asinine response, I’d sell all my Canon gear and switch to Nikon or something. Amazing to me how they don’t see anything wrong, nor do they seem to care, and I’m quite certain they won’t change a thing. But it sure caused me (and a lot of others who haven’t figured this out) a lot of work renaming files after downloading them from the card! Just goes to show you when a company gets too big, that they begin not really caring about their customers or issues that are so easily fixed with a few lines of code in the firmware! Try a free file naming programme takes only seconds. Saves worrying about settings on Camera. This is AFTER you download the images!!!! MY point is why Canon comes up with such a lame excuse and a NO CARE attitude that can be fixed with a line of code or two in firmware. It’s nothing but BS and now everyone has to use 3rd party stuff to overcome the weakness in Canon’s firmware, and for what?????????????? The underscore is to show that the file uses the Adobe RGB colour space. If you rename it with something like s7D II….. (s for the sRGB colour space, but any letter will do) then it should change the ‘s’ to an underscore for files using the Adobe RGB colour space. As far as I know all of Canon’s DSLRs do this (my 40D certainly does), and it is one of the first questions that newbies to the Canon system always ask. BTW, tried all above settings, to a T, and couldn’t lock on focus on a bird if my life depended on it! Not sure why these settings simply do not work, but changed things to what I intuitively believed would work, and ALL shots afterward were immediately locked on sharp focus and the shutter fired. Over 50 years as a wildlife photographer shooting Canon from 1Dx back to the 35mm EOS-1 bodies and 800 5.6 / 600 4 / 500 4 / 400 4 DO, 100-400 VII experience and at a loss as to what these settings suggested are supposed to provide a photographer utilitzing a 7D Mark II which I just purchased and found these settings extremely un-satisfying. Hi Nasim, Thank you for taking the time to post set up for the 7D ll. I have the 7D MarkII . I am in single center focus point most of the time and shoot one shot or AI Servo. I have spend a few hours trying to see why my single focus point won’t light up red as I look through eyepiece and focus. I do use AF Back button. Also when I turn on enable AF point disp the red focus square does not show up on my screen. The highlight enabled does work. Baffled with both of these issues. Can you help me out and am not frustrated and googled info and did factory reset etc…. Thank you so much in advance! Hello, Thank you for your posting. I followed your advice for shooting birds but after configuring the settings as you suggested, I can no longer auto focus. Any ideas? I even cleared all settings and it still won’t auto focus. Tried different batter, took 100-400 lens off and reattached. I’m out of ideas. ?? Thank you. Lotta I had the same problem ,I cured it by setting the autofocus to 9 points for small or distant birds ,works fine now. Suddenly the display of focusing points on LCD screen has stopped. Can any one throw a solution to this problem? My new canon 7d mark ii cant switch on…In the middle of the shoot I switched it off at break…then after break I tried switching it on…and it refused to go back on…what might be the problem…have been using it for a month now. Very helpful article, Nasim, many thanks for taking the trouble to write it. My only comment is that – while I appreciate that you don’t use JPEG – many of us do (I’ve been advised to use both), it would be helpful to have your suggestions for settings that are relevant to JPEGs, not just the ‘not applicable’ is it applies to you specifically. As with your other suggestions I realise they are ‘only’ suggestions but to new users of a relatively high-end camera like this, understanding your suggestions would help me a lot. Again, many thanks for your work. Thank you for your article. First, I am a beginner in photography. I have had 5 cameras and decided to upgrade to the 7D MII to offset my skill. Used my camera for the first time last weekend for our sons soccer tournament. The outcome was not so good. I wear glasses and take them off to look through the viewfinder to focus on the child I want to shoot. I took about 300 photos over the weekend. When I downloaded them I found that probably 20 were okay. I had trouble focusing on the player I wanted, when others were between me and him. I also could not take rapid photos, but I read your article and may have that figured out. The photos at night when the lights were on were not good either. Our other son plays travel ice hockey so I will be trying to shoot him as well. Can you give me any advice? Is there any way to reverse-register settings? Meaning, if I’m in C1 for example, and I’ve registered it as Tv, I can find no way to change the mode to Av or M without going out of the C1 mode. But when I do, I have to re-set all other registered settings, then re-register to C1. That may be a dumb question – I haven’t even wanted to do it yet. Maybe a better question is when do the C-modes get updated if/when you set the “Auto update set” I mean, suppose you want to change a registered setting and you’re in C1. If you change the Auto update to enable, are any changes instantly registered, or are changes registered when you make the change? Or should you leave the Auto update off and just re-register to C1 from within the altered C1? af area selection can go to either the default m-fn button or the main dial……. Planning to shoot tomorrow indoor kids tekwondo , which auto focus to use? And what is your advice for the settings in this environment? Basic question: I see my subject on the view finder when in video mode, but when I’m in picture mode the view finder goes black and I have to use the eye piece… How do I turn on the view finder screen to show my subject when in picture mode?? I just updated my firmware to 1.0.5, and than my shuttle speed numbers in the viewfinder is massed up but the shuttle speed on the LCD is fine. Thanks for such a helpful and well written article! I have a question for you… I split my time shooting landscapes (mostly long exposures, low ISO, tripod shots) and actions (surfing and lacrosse games). I have been using a 6d which recently was sacrificed to King Neptune when the sand my tripod was sitting washed away as I turned my back. As you can imagine, using the 6d for the landscapes was great, but shooting action left me wanting more. My question is this… I realize that the 5d mark iii is probably the closest thing to an “all around best” from the Canon line up. But I don’t want to spend that much. So do you think I will be happy with the results, shooting landscapes with a 7d Mark ii? I know it’s going to be great for action. And it seems like very few people talk about it as a landscape camera. But your sample images in your review of the 7d are stunning. Looks like it gets the job done just fine. I’d love to hear your thoughts on this and thanks again for such helpful reviews and tips. Im trying out auto iso, in M (manual) So far so good, thanks for the setting suggestions. Really appreciate for all these teachings. Just got my 7D Mark II and this site is my first point of reference. Thanks a lot. What is the BEST USABNLE ISO in 7D Mark II ? Wonderful article! Thank you for not only the “what” but also the “why” behind selecting the setting and the great “how” of exactly where to go to change the setting. Probably the most concise article I’ve read. I greatly appreciate the effort you put in to walking us new 7DM2 users through the settings. It can be overwhelming on this camera! I have one question, on my old 10D, when someone else would want to take a picture with my camera, let’s say of a picture of myself and my spouse, I’d just switch the setting over to the automatic setting (A+). All was fine. I’ve found on the 7DM2, the A+ setting is almost guaranteed to make the image blurry and just out of focus. Yes, the lens is also set to AF. The camera seems to select the closest object to focus upon, not necessarily what is dead center in the viewfinder, and even at that, AF struggles greatly and most images are blurry. I’ve tried shooting multiple times in the A+ setting just to see what everyone else was getting and I get the same thing … garbage. Should I just put the camera in the P setting and hand it to someone if they want to take an image? The only issue with that is I like back button focusing only. Not exactly an easy thing to explain to someone who just wants to point and shoot. Sounds like I’ll have to compromise and switch off my BBF when I’m with family members who like to borrow my camera? That was pretty much the answer from Canon. Any suggestions? Thank you! Best article EVER. Thank you for taking the time to write it up for us! I have a frustrating problem with my newly-purchased 7D Mark ii. When I was use any of the programmes except A+ (P, Tv, Av, M) the autofocus will only activate if I pressed the AF-ON button on the back plate. In A+ the autofocus activated in the usual way (half-press the shutter-release button). I am assuming (hoping) that there is an option which I haven’t found yet which will allow me to switch autofocus to automatic. Any thoughts? I got this camera to shoot soccer shots and have the older 100-400 Canon lens. What settings would you suggest for daytime soccer shots and then what settings for night time under stadium lights? Is there a reason why I can’t get sharp images using a 100-400mm Vi with my 7D MK II? looks like all images are out of focus. any suggestions. This is a wonderful quick introduction to the settings on my new camera. Just what I was looking for. Thanks for posting. A good article! I was considering renting a 7D Mark II and I was wondering if in a situation where you record both JPEG and RAW and you delete the JPEG version of the photos, will the RAW photos end up in the media gallery still? End up selling the older version and bought the new one. You might need to calibrate your lens to your camera. firstly great review, thanks for that. I shoot mainly football (soccer) in late evening or night under floodlights , I have the 7D mark 2 and am using a 70-200 2.8 lens. I’m finding it difficult to get good shots of the players. im getting loads of noise on the shots. Do you have any tips for settings to use when shooting thanks. can you please suggest me the settings with the Canon EOS 7D mark ii for the shoot? -case 6 tracking setting( I have bumped all up +2 responsive within case 6) tracks BIF nicely. -a good stance helps you steady your shots, make sure to widen your feet and lower your center of gravity to obtain better balance. – also make sure to MICRO ADJUST YOUR LENSES :)I think every lens should be micro adjusted for your camera, it only takes a few minutes, it is free and done within the camera with the lens attache, and when done correctly it only can help your photos become crisper. watch some of the ONLINE videos on bird photography, there are so many great photographers out there who have made good videos full of info. , If these settings are not working for you feel free to try something else :) Others use different settings than I but after around a year of trial and error with this camera I have found these to work well for me. -most important, get out there and enjoy the world with your new camera. I just wonder if I could take a photograph with only 1 colour highlighted in black- white surroundings (splash of colour) with cannon 7d mark-II . I really enjoyed the article and found that i am using most of the settings as you described. The one issue i am having and i am not sure if it is a bug or something I have programmed incorrectly. When i setup the Custom Controls and have the Shutter button set to “AE Lock” (I am using back button focus) as well as setting the M-Fn button the “AE Lock / Hold” the Camera will not AE Lock / Hold when the M-Fn button is pushed. In order to utilize the “AE Lock / Hold” i can only have one button set to this feature and no other button set to “AE Lock”. Is this the way it is supposed to function? I am surf photographer and this article was really helpful for retrieving and updating my previous experience on surfing photography. My settings are working fine but I am having an issue with the exposuremeter that appears in the viewfinder. When shooting on manual mode the indicator stays locked on middle of the meter ( 0 ) and is not letting me now if the photo is under or over exposed. How can I change this? Can I install through HDMI an 7inch video tv monitor In the 7D MK2 when I do video to get better monitoring? Are these settings doable on a Canon EOS 7D (1st gen) as wel? Or only for Mark II? Sir what can I do to fix this problem did you have any recommendations on this issue please help a brother out am in 3rd world country which is hard to deal and get help this kind of things please Help me I just stacked ??? Thanks Nasim for all the valuable info that you have provided. I have a Canon 7 D Mk 2 , which has started misfiring on shutter speed. Each time I shoot my shutter speed jumps to 8000 with my Aperture set on f/5.6 , and my ISO on auto. In my view finder I see the word “BUSY” flashing. My High speed continuous is set at 10 frames / sec, but I only get “ONE SHOT”. This seems to be a major issue for me. Could it be corrected. Excellent article with exceptionally clear explanations. Thanks. I have a question about back button focusing which I am beginning to use. Once I achieve focus, do I need to keep my finger on the back button while shooting? In other words, if I release the back button focus will the camera keep a moving subject in focus automatically if I keep the subject in the AF area? Great article. I absolutely am grateful for you posting it. I just got my 7D Mark II a week ago and wanted to use in a photoshoot this weekend. With all the settings in this camera, after using Rebel t3i for years, I was overwhelmed, but now am much more comfortable and feel like I know my new camera much better due to your post. Thank you very much and look forward to read your other posts on features and setting general topics. Hi there, I take pictures of dogs typically with a 70-200 f2.8 series 1 lens and usually using the default settings. I find that if the dog has black coat and brown eyes in auto mode the eye colour is misrepresented. I’ve tried spot and group spot but this doesn’t help the problem. I find if I have a dog with a black mask the final colour of the image is misrepresented if the mask has any brown hairs and the mask isn’t as well defined. With longer coated dogs they don’t look as coated as the camera seems to miss the density of hair when not very dense and picks up on too much light. Any thing I should be doing that I am not? Love your article on Canon 7D Recommended settings. Could you e-mail a copy of the recommended settings as mentioned in this article? I’d appreciate it very much. I have tried single point focus for all these to try and fix but it makes little to no difference. I’ve contacted Canon and they feel there is nothing wrong! Seriously! I love the Canon 7d. Thank you very much for sharing this!